Leigh and Pamela head a team of energetic, committed designers and producers who delight in creating fabulous signage solutions. 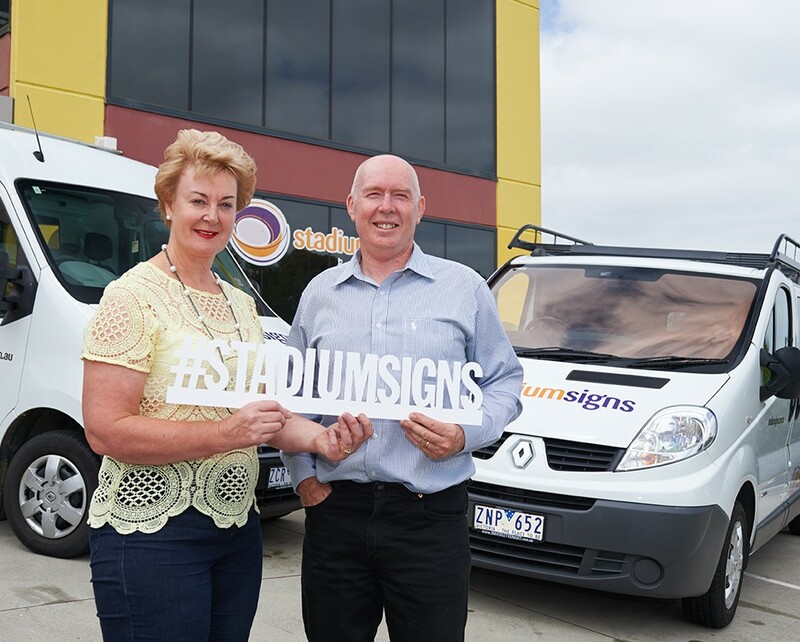 Leigh Onions founded Stadium Signs in 1988 after a long career as a traditional signwriter. Over the past 28 years Leigh has built Stadium Signs into one of Melbourne’s most prestigious boutique signage companies. Leigh is an accomplished producer of custom made signage infrastructure and is a total solution provider. Leigh’s reputation of excellence in signage has resulted in Stadium Signs being a preferred contractor at the MCG, Etihad Stadium and Federation Square. His client base is at the very pinnacle of event and corporate branding companies as well as local businesses. Each and every client is important to Leigh Onions. Pamela Hammond joined Stadium Signs as a Director in 2009 after a long illustrious career in the Film and TV Industry. 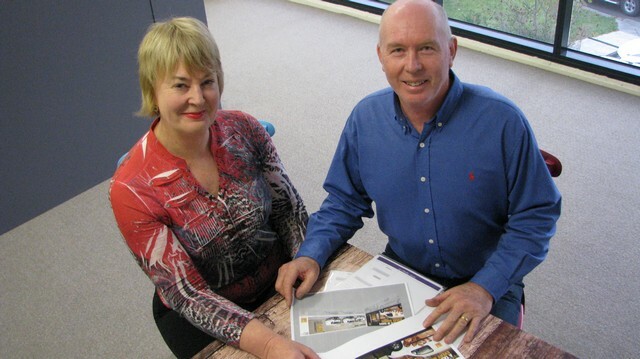 Pamela was Head of Post Production for Digital Pictures, Australia’s largest Post Production company. She was responsible for a large team of Producers, Editors, Colourists and Visual Effects Artists working on feature films, TV series, documentaries and short films. Pamela’s career also included representing the Australia film and TV industry in delegations and film exhibitions in the USA and throughout Asia and in 2009 she was awarded the Screen Producers of Australia Award for services to the industry. Over the past seven years Pamela has worked tirelessly with the team at Stadium Signs to enhance their profile and to expand the business. Pamela and Leigh share a common goal in that they believe that business can be holistic and continue to work with both staff and clients to achieve this result.